Have you hit your targets and achieved your objectives? Get a clear overview of your strong and weak points through a detailed but comprehensible analysis of your email marketing campaign performance. Analyze your key performance indicators to find any areas for improvement. Numbers don't lie; get detailed statistics of covering all aspects of your email campaign performance to gain a clear, quantitative overview of your campaign results. Analyze the geographical locations of all the individuals who opened your emails and clicked your links, no matter where they are on the planet. Compare results with the targets and goals you've defined. Refine your targeting parameters to optimize for meeting your objectives. Get a clear visual representation of the areas in your email that generated the most clicks. Get straight to the point in your newsletter by removing ineffective content. Produce the best possible newsletter by optimizing readability and enriching the user experience! Enjoy working with data? Love figures? Track and monitor your performance in a detailed manner with Sendinblue. Time is often the decisive variable when it comes to developing an efficient and effective digital strategy. Monitor your engagement statistics as they occur and adapt your strategy accordingly. Analyze your results with precision and maximize your learning in real-time. All of the data from your email campaign reports can be quickly and easily exported in either PDF or CSV format so that you can share the information with your team for more advanced analysis. 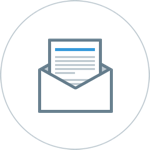 Looking to evaluate the performance of your email marketing campaigns ? Establishing your email marketing KPIs is the best way to efficiently measure performance. What exactly should you measure when evaluating your marketing automation strategy?